Last Edit: Dec 27, 2017 9:11:58 GMT -5 by Cei-U! It’s no secret that I’m a huge Thanos fan. 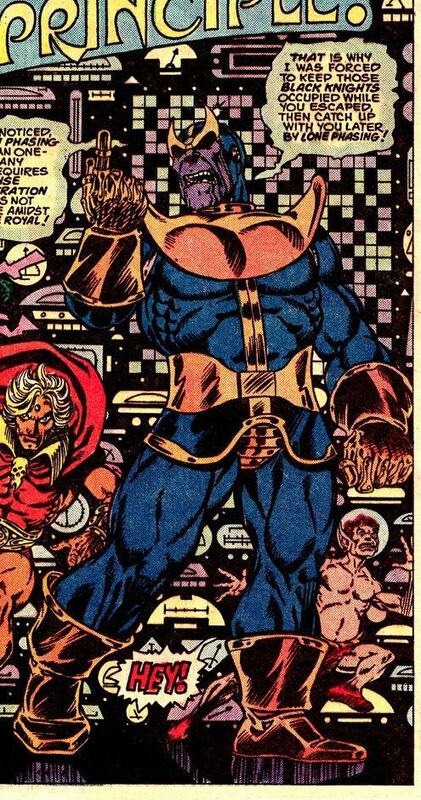 Jim Starlin created a complex character the like which was not seen before his initial appearance in Iron Man #55. Not only is he a powerhouse that could take on Thor, the Hulk and the Thing , but has Reed Richards type of intelligence and strategy skills on the par with Steve Rogers. But what makes him so special is his look is striking and imposing. Acting as a counterpoint to his intellect is his huge size making him look closer to a mindless brawler, than a genius level opponent who usually has others do the heavy lifting in combat for him. His Yellow and Blue color motif blend in perfectly with his purple skin color and I especially like how you never see pupils under his cowl. It’s a shame that in the upcoming movie, he will be sans the headpiece as I find it to be an important part of his amazing look. 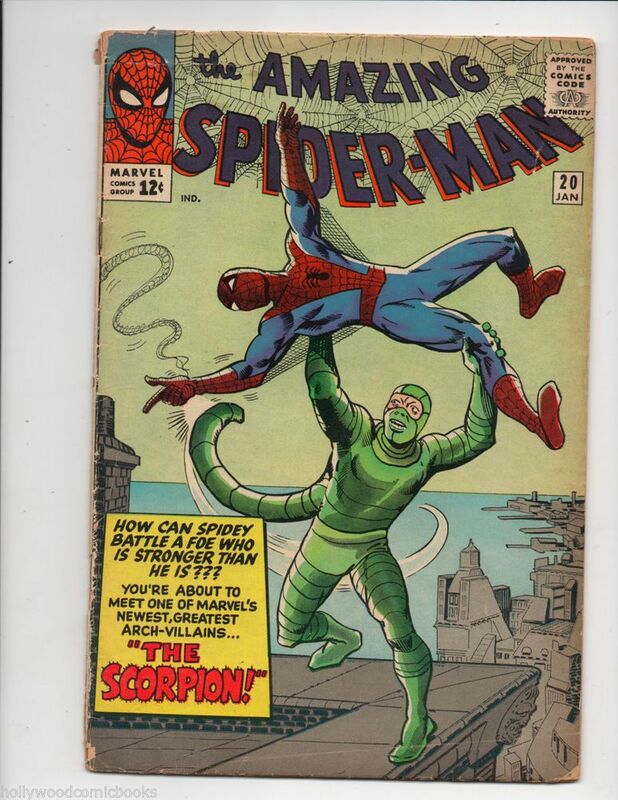 I like the gloves and the boots , and his chin really works with the ridges that look like the skrulls visual. I find it interesting that when he was originally conceived by Starlin, he was going to have a thin build more reminiscent of Metron of the New Gods. The story goes that Roy Thomas suggested that he should look closer to the way Darkseid looks. It makes you wonder if not for that change, if he would be the powerhouse superstar that he is today. I have a love for designs that involve indentityless hooded characters, such as the short-lived Teen Titan Phantasm (Yes, I know he was revealed to be Danny Chase so shush!). The Time Trapper's worn out robes evoke a sense of timelessness and simplicity. He/she is without a need for ostentatious decorum for they are timeless. The bandaged hands suggest many weathered battles, yet perpetual victory or at least never defeat. The lack of a visage perpetuates a fear that we can't comprehend what lurks under that hood and any time that identity was revealed, it was what the Legion never hoped it would be. yeah, it's just a standard black suit, accentuated by a mod (and oversized) helmet. .but oh wow does it give off a striking appearance. and if you think about it, that "standard black suit" allows him to survive the cold, and pressure of underwater, and is obviously sturdy enough to take a punch/jab without any fear of tearing. add in the laser eyes? yep, I was enthralled, and his look is easily my #1. On the twelfth day of Christmas, Santa said to me...Gordon Alive??? Ming the Merciless as designed by Alex Rayomond. As soon as Kurt announced the topic, I knew Ming was my #1 with a bullet, the rest of the list took time to figure out but the top spot was always going to be Ming. 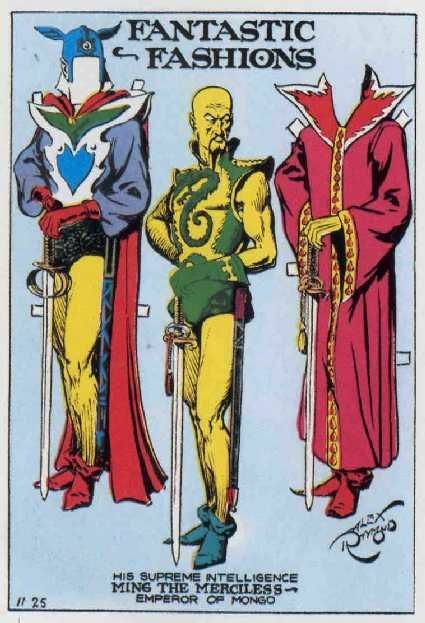 Ming is the comic archetype for the look of the evil overlord (yes with a ton of yellow peril influence). Combine some form of tunic/armor, cloak, and headgear ensemble and you have every major super-villain from Dr. Doom and Magneto to Darth Vader who fills that evil overlord archetype. It all traces back to Ming in comics anyways. But Ming has the arrogant sneer and the classic fu manchu facial hair, and the dashing blade to add to the ensemble making his look a classic in its own right, even when he (gasp) changed clothes (people do that in comics, I thought they wore the same thing all day every day) into the ceremonial robes of office, he still took the elements of that classic look (especially the sneer) with him. Long live Ming. All hail Ming!. I know, I know, you say it may not qualify because it's from the movie by Francis Ford Coppola But it does qualify for two reasons: For one the designs used in the film for Dracula were drawn from Mignola's work, Coppola tracked him down specifically for his style on this film and he gave Mike Mignola the credit, "Illustrator" in the film. And the second, but equally important, reason is that the comic was put out one month ahead of the film so in effect the comic originates the look. Now if others still feel this doesn't qualify, I suppose I could come up with an alternate with no hard feeling but still I love this look. 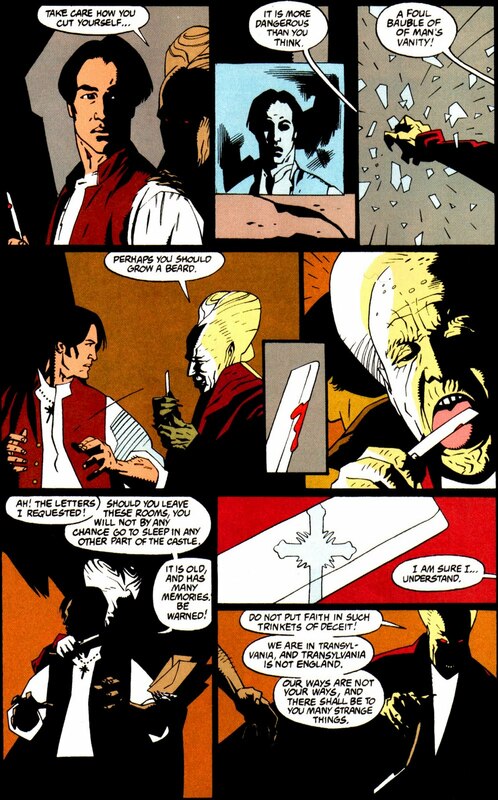 The look allows him to be both human AND a dark supernatural being as well, and that duality is really what makes Dracula work. I've never actually read a story with this version of Parallax, as it came long after I considered the Green Lantern franchise lost beyond all hope, but the visual design is unforgettable. When Kyle Rayner was first introduced, Ron Marz called attention both to the fact that Kyle was an artist and that the ring shaped a costume from his will/imagination, so it made sense for Rayner to have the best looking GL costume of all time. But, when he went bad, his imagination seemeed to take it to a whole other level. For the record, my first venture into the world of Marvel Comics was Tales of Suspense featuring Iron Man, Captain America, and others and all of you know ... that Iron Man is one of my favorite Marvel Comics Character and one of the first villainess that he fought was the Black Widow that was created by Don Heck. She has everything, this villainess is stylish, classy, and downright gorgeous! ... In the first picture on the upper left side showed the true glamour of the Black Widow generously dressed and amazingly beautiful and enhancing lady! Onto, the upper right side wearing an elegant black evening gown and gloves with matching veiled hat showcased her allure out in the public that no one expect this lady is a Super-Criminal and that's picture cemented my pick to be number ONE. One of things, that I've wanted to point out the glamour and gorgeousness of such villainess is her eyes showing so enchanting along with her short hair at the time indicating that she wants a simple but elegant hairstyle because committing criminal acts doesn't leave anytime to check her hair and all that and that's on the bottom left photo. 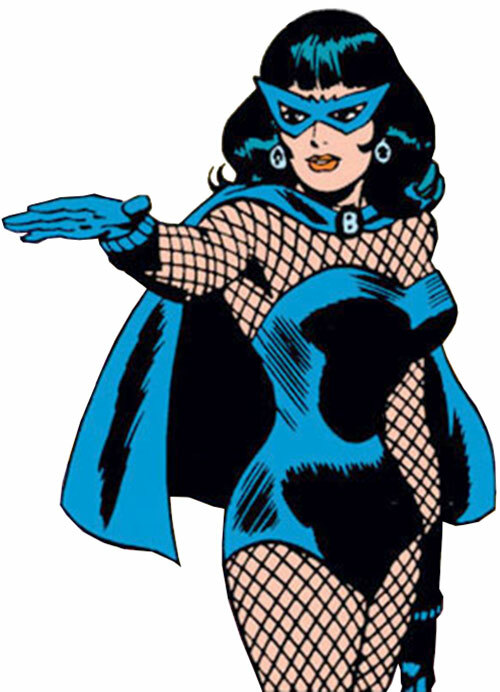 Don Heck, did a terrific job designing her mask and that three pointed that shaped like a Queen Chess Piece is done just right. That's shown on the last picture on the bottom right. Add, that and her costume shown on the bottom with the fishnet and beautifully drawn and glamorously in great detailed with the cape and all that glamour ... Black Widow in her original costume is my choice as the best Marvel Comics Design of all time. Don Heck did a fantastic job bringing it altogether in one complete package. She's my favorite and always be! My favorite villain is my favorite design. I like a good cloak. Even better if what lies beneath it is something cool like bees or armor. Something about Doom's look is just... regal. My version is here, with just a couple of accents in the belt and gold buttons. Kirby basically had it nailed by the Battle for the Baxter Building arc in issue 39. Oops. I had misread the title. Here's a correction. My favorite conic. I like how it's disconnected. I like how it seems to follow as a natural follow-on to the definition of a circle. If a circle is all points a fixed distance from a single point, then a hyperbola is all points a fixed distance from a pair of points. I like the curve 1/x. I like how something so simple can easily create Gabriel's Horn, with the odd property that you can fill it with a small bucket of paint but never paint its sides. 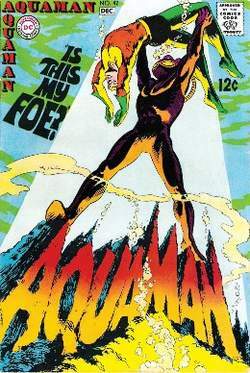 But the best design came when Sal Buscema had his take. I just love the costume so much. 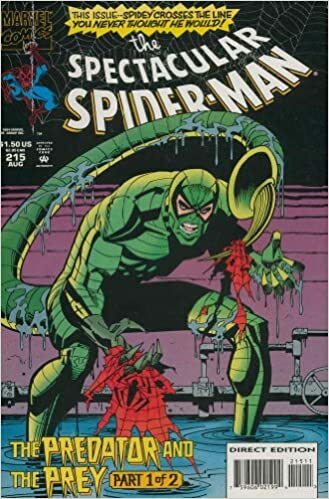 He made is meaner and greener and it is why Scorpy is my favourite all-time Spidey villain. He is not too complex but has such a great costume that makes me want any and every issue he has appeared in. But is that a "classuc" conic? 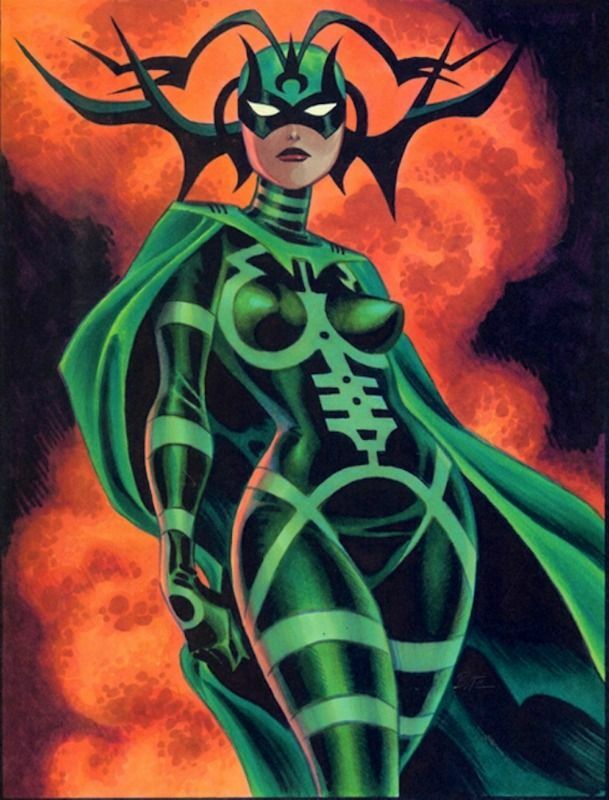 Hela's costume I've loved since I first saw her in the Marvel Handbook. 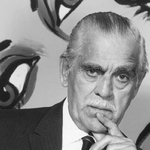 Of all of Kirby's designs, this is my all time favorite one. The blending of green and dark green is a brilliant look. The iconic helmet, no matther who draws it, gets more fantasticial than the one prior. 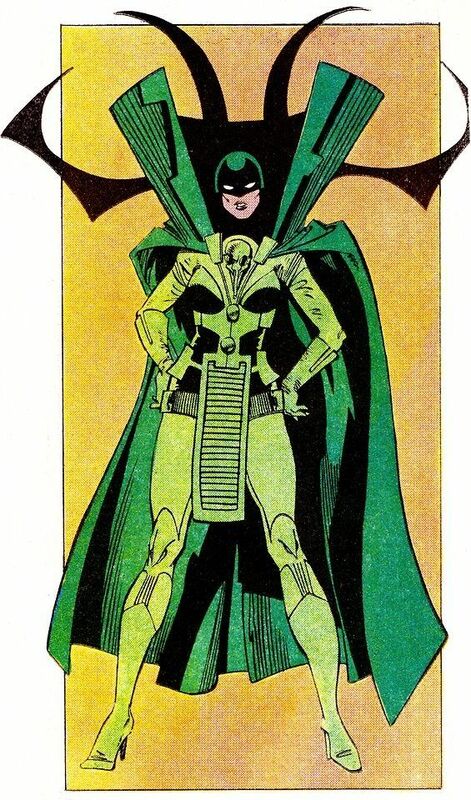 Simonson's rendtion is little more streamlined but effective; the high collared look engulfing the blackness to give her face a floating effect. I know she's appeared on a lot of lists, which made me happy, but I knew this would be my number one.